Northern lights/Aurora borealis over Reykjavik. Hallgrimskirkja, the dramatic church situated on the city's highest hill. 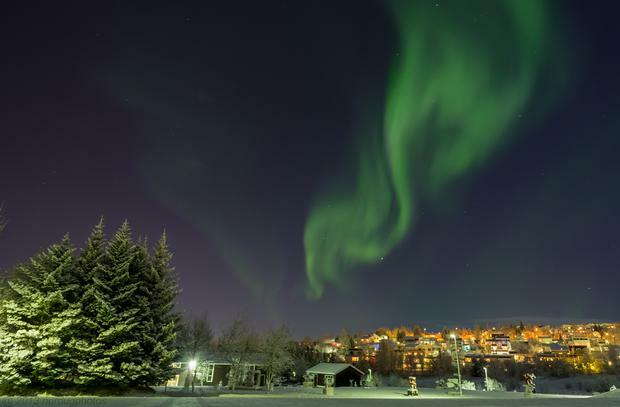 With new flights, longer days and a busy cultural calendar, the Icelandic capital is an appealing prospect, says Nick Boulos. 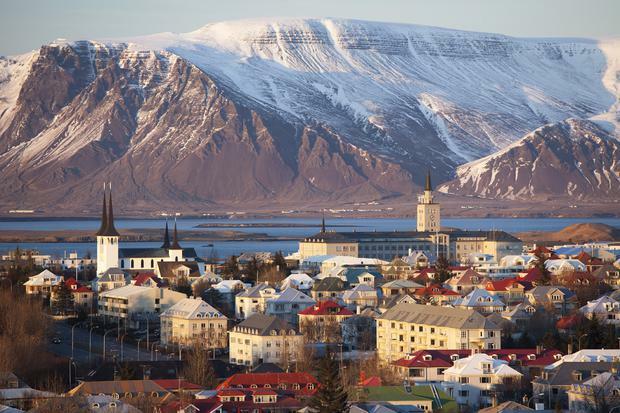 Reykjavik is set to become more accessible than ever with two new flights linking Ireland and Iceland. easyJet (easyJet.com) has been flying direct from Belfast since December with prices from £39 each way, and Wow Air (wowair.com) is set to fly direct from Dublin starting June 2, with prices currently advertised from €72 each way. Wow Air will fly on Tuesdays, Thursdays and Sundays from Dublin, with a flight time of two hours and 20 minutes. International flights land at Keflavik airport, 48km west of Reykjavik. A taxi into the city will cost about ISK14,000 (€93) for up to four people. An airport bus shuttle offers a more cost-effective transfer. Flybus (re.is/flybus) meets all arrivals with a return ticket to the BSI bus terminal costing ISK2,200 (€15). Journey time is about 50 minutes. Ingolfur Arnarson came ashore from Norway in 872 and settled on a peninsula on the south-western corner of Iceland, naming it Reykjavik (meaning "Smoky Bay"). Located on the shores of Faxafloi Bay with Mount Esja (914m) and other peaks rising on the far side of the water, Reykjavik is easily explored on foot. The main sights, restaurants and shops are concentrated in the design district known as "101". Named after the postcode, it encompasses the streets around Laugavegur. The tourist information office is at Adalstraeti 2 (visitreykjavik.is). A 48-hour Reykjavik Welcome Card for unlimited public transport and entry to most museums costs ISK2,300 (€15). Book the best value city breaks with Independent Travel here. Hotel Borg at 11 Posthusstraeti (hotelborg.is) was the city's first luxury property when it opened in 1930. It still leads the way. Doubles start from ISK35,200 (€233), including breakfast. Design lovers need look no further than Centerhotel Thingholt, well located at Thingholtsstraeti 3-5 (centerhotels.com). Rooms are rugged yet hedonistic with bare concrete walls and leather floors. The decadent lobby bar features a wall made entirely from salmon scales. Doubles from ISK20,000 (€133), B&B. It may, technically speaking, be a hostel but Kex at Skulagata 28 (kexhostel.is) has more style than some five-star hotels. Movie set designer Halfdan Petiersen has transformed this former biscuit factory on the waterfront into a stunning property inspired by Fifties America. Dorm beds from ISK2,200 (€15) and doubles with private bathroom from ISK11,800 (€78), room only. Begin on the quiet shores of Lake Tjornin overlooking the modern City Hall, a building that divides opinion. Many locals think its industrial exterior is not in keeping with the area's heritage. This is the oldest part of the city, dating back to the 1760s. Walk along Tjarnargata before turning right on to Austurvollur, a leafy square and site for the world's oldest democracy: the understated Icelandic parliament building. Cross the square and travel north along Posthusstraeti before turning right on Tryggvagata, then left on to Laekjargata. You'll soon emerge on the waterfront facing futuristic Harpa concert hall, set against a mountainous backdrop. Then walk west along Geirsgata. Stop at the indoor Kolaportid flea market (open 10am to 5pm weekends) to try Iceland's favourite snack: crisp-like pieces of dried fish. Or head for the collection of harbour wharf restaurants on Geirsgata, grab a stool and enjoy a steaming bowl of soup from locally caught lobster at Saegreifinn (saegreifinn.is) for ISK1,100 (€7.30). Big-name brands are noticeably absent from Reykjavik's main shopping street, Skolavordustigur. Hours are short: typically 10am to 4pm on Saturdays (to 6pm Mon-Fri, closed Sundays). Fashion boutique Nostrum at No 1a (nostrum.is; open from 11am) sells wares only from Icelandic designers. Minja at No 12 (minja.is) is a trendy interiors store. The National Museum at Sudurgata 41 (nationalmuseum.is; 10am to 5pm daily, closed Mondays between mid-Sept and the end of April; ISK1,200/€8) should be your first port of call. 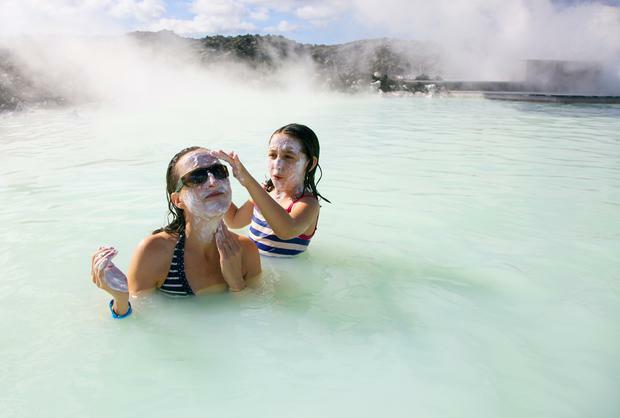 Detailing 1,200 years of history, it traces Iceland's journey from settlement to modern day. Later, investigate the country's thriving art scene. Erro, famed for his collages and mosaics with political undertones, has a permanent exhibition at the Reykjavik Art Museum (artmuseum.is; ISK1,100/€7) – not to be confused with the Reykjavik Art Gallery at Skulagata 30 (reykjavikart gallery.is; 1-5pm weekends, 10am-6pm weekdays; free) which has abstract and figurative pieces by contemporary painters. Islenski Barinn at Posthusstraeti 9 (islenskibarinn.is) sells more than 30 beers from micro-breweries across Iceland. Pints from ISK700 (€4.65). Alternatively, the darkened first-floor bar Boston at Laugavegur 28b (00 354 517 7816), with gold-leaf wallpaper and mirrored pillars, is a nice spot to sip Brennivin – the potent national drink made from fermented potatoes and flavoured with cumin. Shots cost ISK800 (€5.30). Tucked away in a residential street is Prir Frakkar at Baldursgata 14 (3frakkar.com). The crammed tables are testament to the tasty food here. Dishes include smoked puffin breast in a mustard sauce and horse fillet with mushrooms. Mains from ISK3,500 (€23.25). Less adventurous diners who are still keen to try local produce should opt for Einar Ben at Veltusund 1 (einarben.is). Go for the lamb loin with potato cakes for ISK5,100 (€34). Dominating the city skyline is the striking Hallgrimskirkja church at the top of Skolavorouholt (hallgrimskirkja.is), designed to resemble the basalt formations found across the country. Take a trip to the top of its 73m concrete bell tower (ISK500/€3.30) for views over the city's colourful rooftops. The city's Domkirkjan cathedral (domkirk jan.is), next door to the Parliament building, is closed at weekends except for Sunday service at 11am. Don't let the fact that it's conducted in Icelandic put you off; pop along for a glimpse of its impressive altar painted by G T Wegener in 1847. The trendy Laundromat Café at Austurstraeti 9 (thelaundromatcafe.com), a Danish import, offers a dedicated brunch menu for saints and sinners, 10am to 4pm at weekends. Choose between the "clean" (including scrambled eggs, homemade hummus and fruit) or the "dirty" (spicy sausage, bacon and a rich local cheese) for ISK1,990 (€13). There are also fresh fruit juices, grilled sandwiches and the opportunity to wash your smalls in the laundrette downstairs. Reykjavik's best walking is Oskjuhlid, a forested hill just outside the city centre with the Pearl, a local landmark of six vast aluminium tanks and a glass dome, sitting at the crown. Gentle trails weave through pine woodland with views over the city and mountains from the top. Take a stroll down to Nautholsvik, a geothermal beach with sand imported from the western fjords. ... into the wild. Head out to sea to spot puffins (May-Aug) and humpback and orca whales on a wildlife cruise with Elding (elding.is). Three-hour trips leave daily at 1pm from the harbour and cost ISK8,000 (€53). At the Blue Lagoon, close to the airport (bluelagoon.com; ISK4,800/€32), plumes of steam rise from the milky waters surrounded by hills of jagged and blackened lava. But for a more local experience visit one of Reykjavik's 18 tourist-free city baths, all shown at swimminginiceland.com. Bjork's favourite is reputed to be Vesturbaejarlaug (00 354 411 5150; 9am to 5pm Saturday, 11am to 7pm Sunday, weekdays vary) on Hofsvallagata, with a large outdoor pool and four bubbling hot tubs at 35-39C.